Snow Day! The fine powder has been coming down all night and all morning, and everything outside is coated. It’s all very romantic and pretty-looking, but I’m not looking forward to trudging through it to the subway, as there are still things I need to do in school and at work. 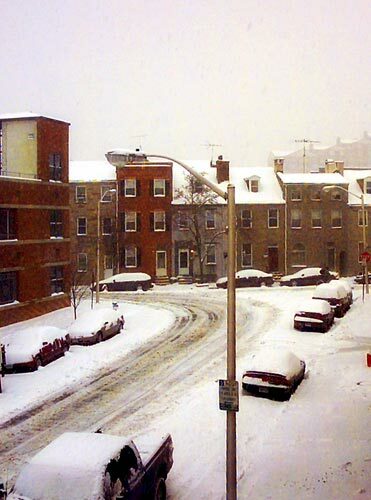 My cam is pointed out the window, and I have a few Baltimore/MICA webcams linked on my student webspace, so you can see for yourself what conditions are like out there.